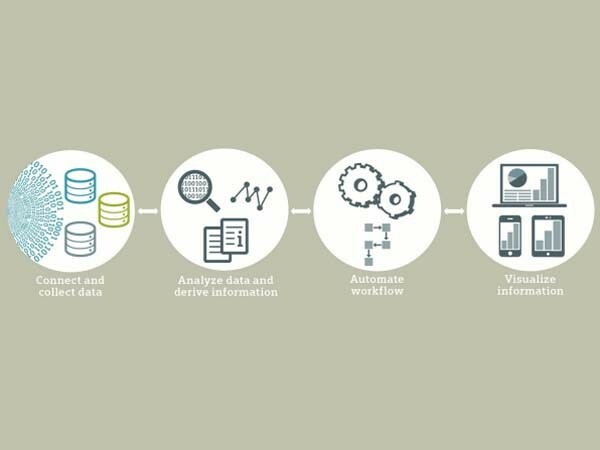 Siemens Building Technologies announces the launch of a new cloud-based platform for building operators to analyse and compare data, and help optimise resources for predictive maintenance and energy management. A typical building can generate copious amounts of data such as values, error messages and alarms. However, this data is rarely condensed into useful information. The new Siemens platform relies on proven, secure cloud computing solutions, connecting established technologies for remote operation, data analysis and cyber security with new building management technologies to transform this data into usable information. Eike-Oliver Steffen, Head of Solutions and Services at Siemens Building Technologies says information produced in the future will decide whether buildings can be operated efficiently, sustainably and safely while adhering to standards and laws. On a uniform platform Siemens offers new user-oriented services using the superordinate platform Sinalytics. Today the platform is already automatically gathering, analysing and processing huge volumes of data and combining it with weather data, tariff information and budget allowances, leading to new possibilities for transparent, worldwide building management. The analytical tools also rely on other information such as weather data, energy prices and traffic forecasts, instead of being limited to HVAC, fire safety and security data. Performance services focus on the performance of buildings and seek to increase the energy efficiency of a building or intensify a company’s productivity. For advisory services, Siemens develops strategies for building portfolios based on simulations and forecasting, recommends appropriate energy and sustainability strategies, and helps with budgeting and planning. The Siemens platform also allows intelligent buildings to be integrated within smart grids.